Wide trousers with pockets for man. 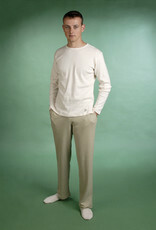 Home / Wide trousers with pockets for man. Our pants are made with 100% certified organic cotton without cheminals. With the true natural colours that grows from the seed, without dyes. Washable conventionally. It is recommended to use organic detergents and not exceed 30 åÁ C.